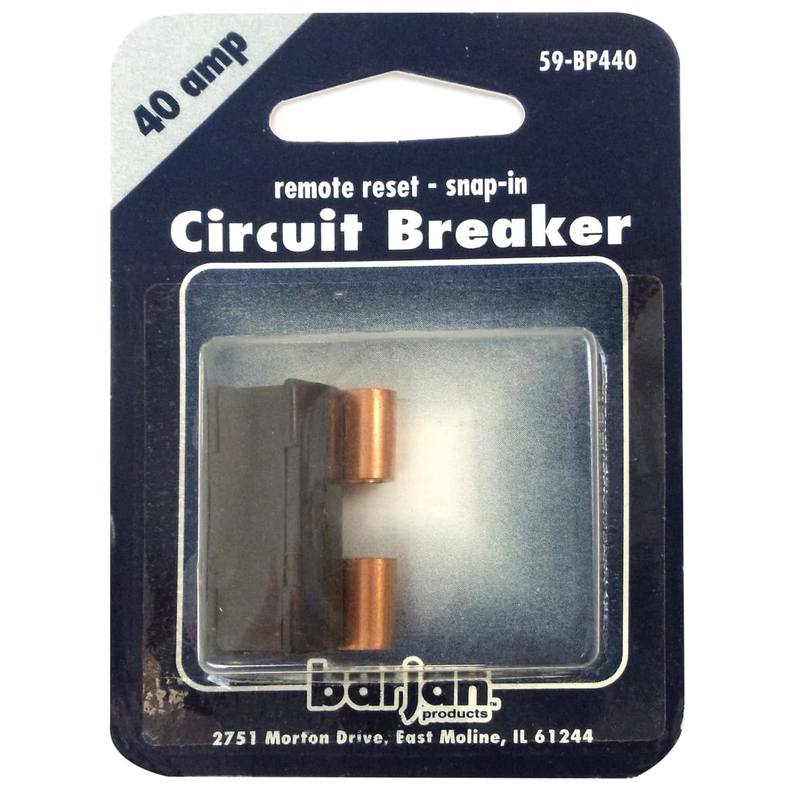 Barjan Remote Reset - Snap-In Glass Type Circuit Breaker. 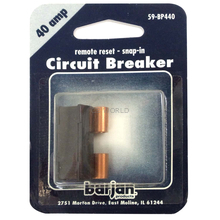 12 Volt, 40 AMP Circuit Breaker Replaces Round Glass Style Fuse In Existing Fuse Blocks. Opens Automatically On Overload. 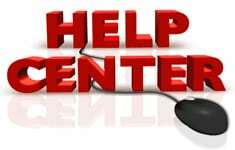 Remains Open For Protection Until Problem Is Corrected.